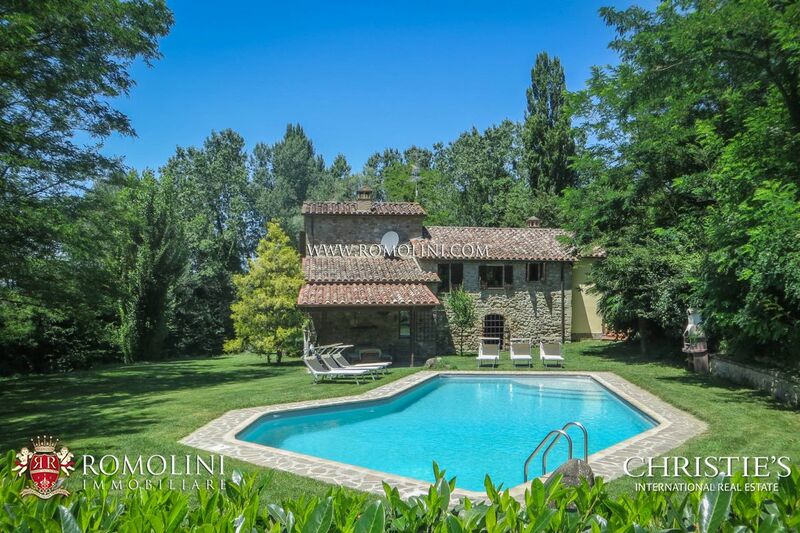 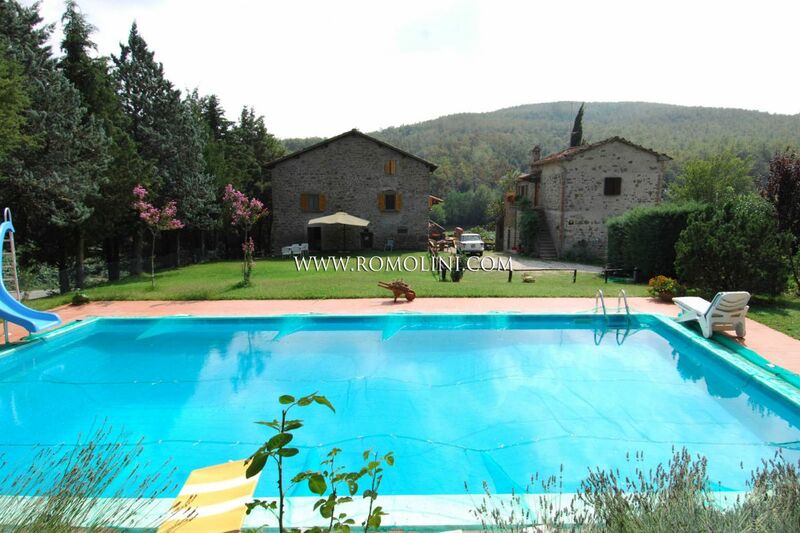 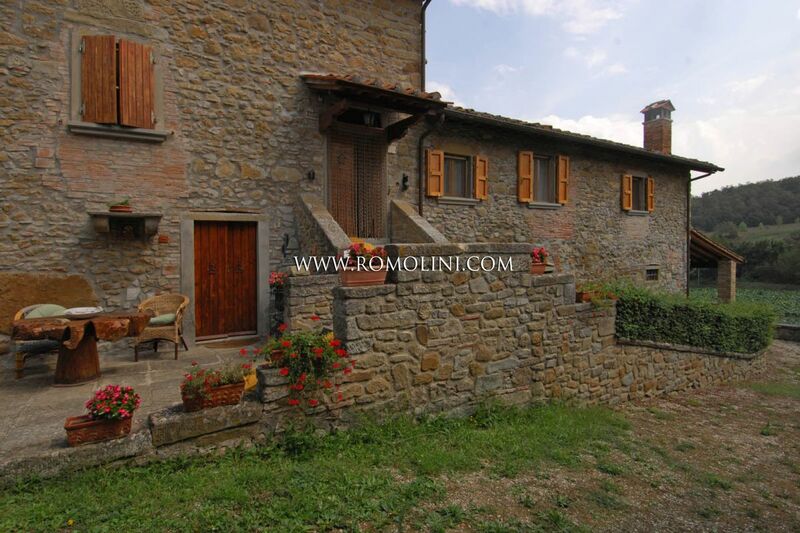 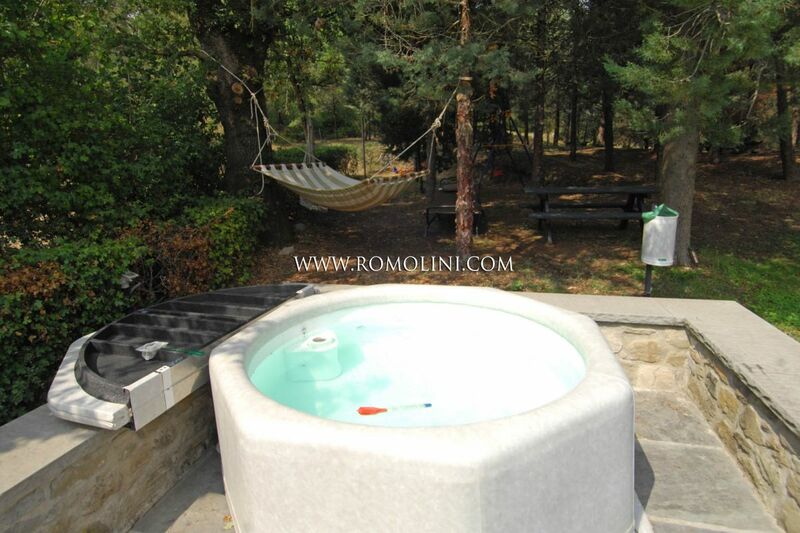 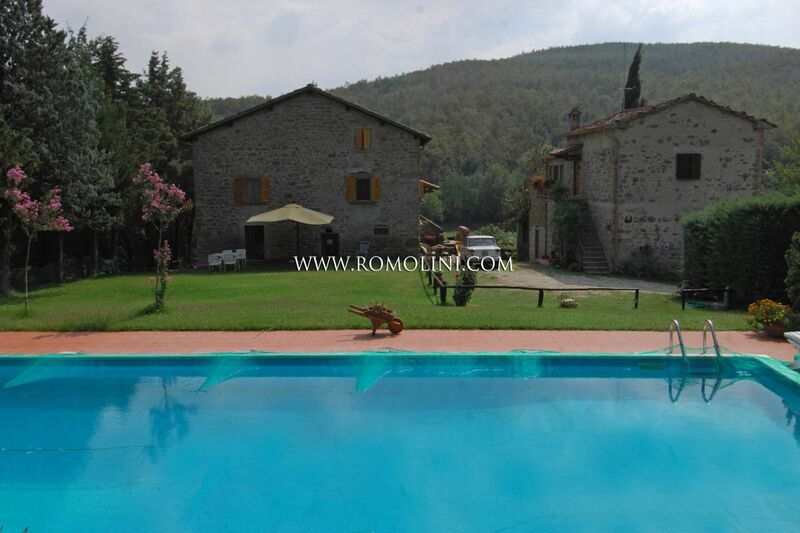 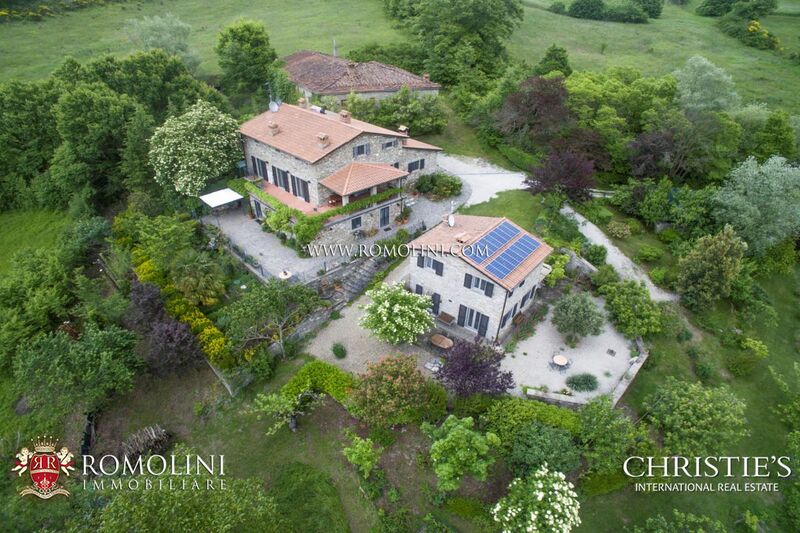 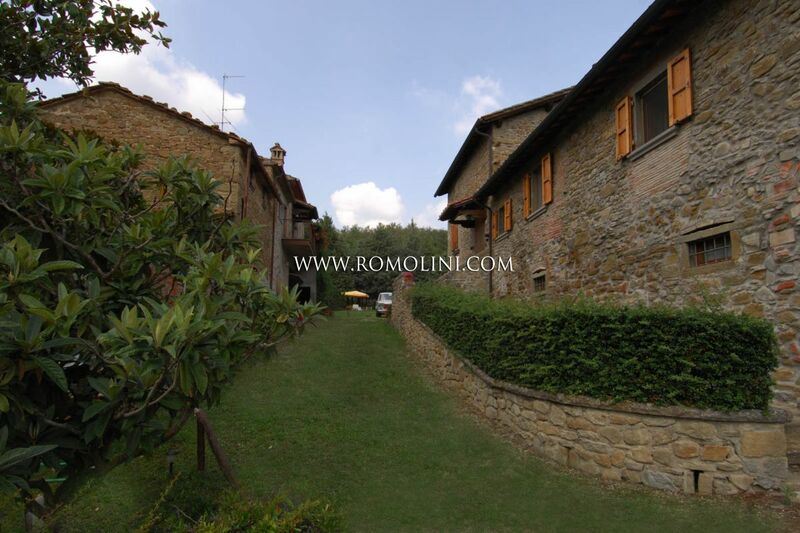 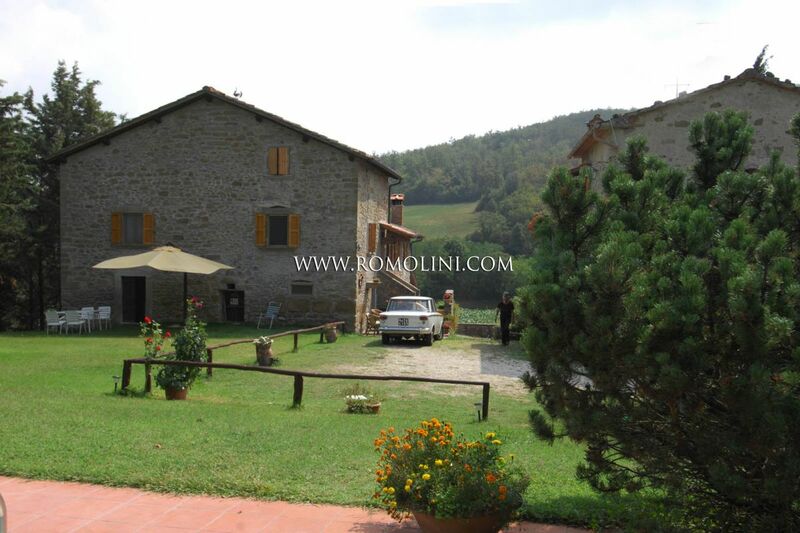 In Tuscany, 4 km from the historic centre of Anghiari, one of the “Borghi più belli d’Italia” (most beautiful villages in Italy), two farmhouses with pool and 4 hectares of land. 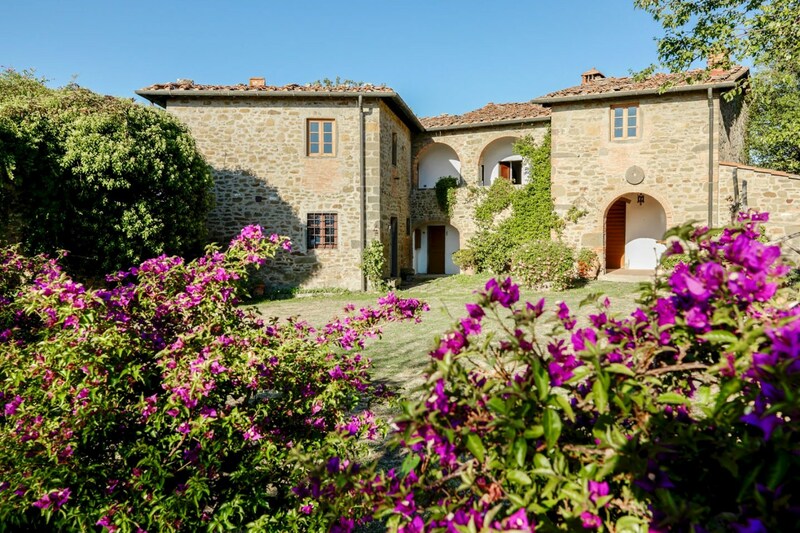 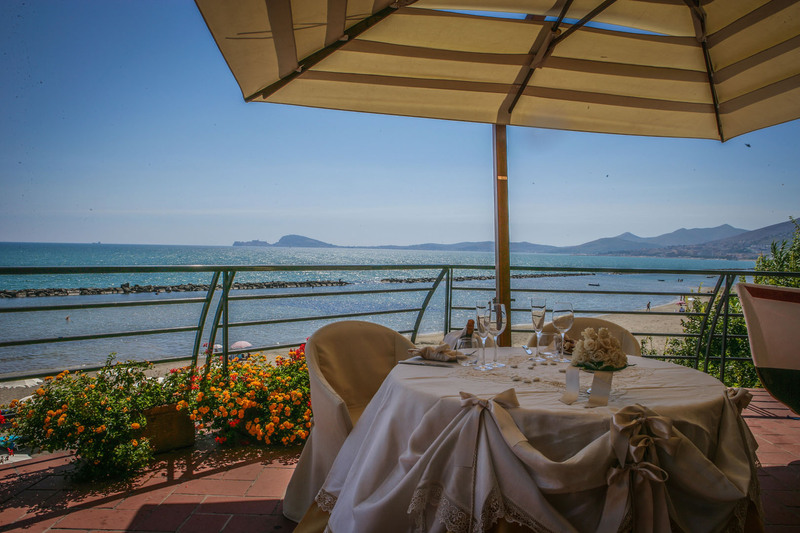 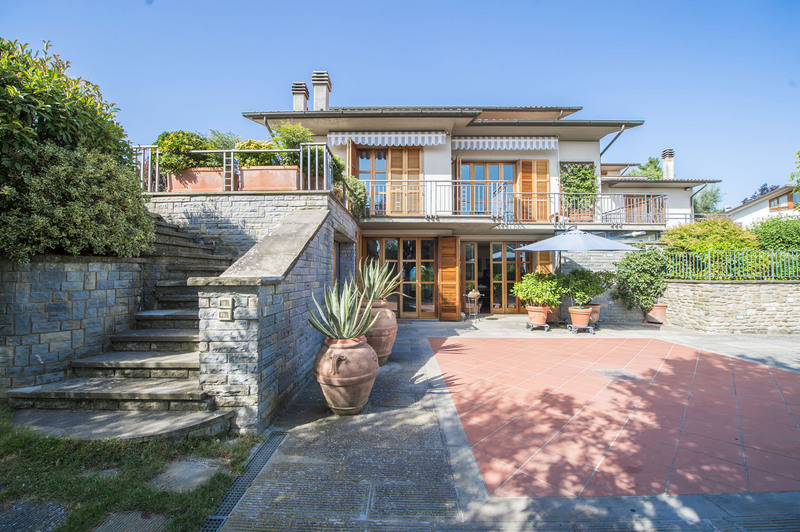 The property, which enjoys an excellent sun exposure, is within easy reach of the most important tourist towns in Tuscany and in Umbria, such as Arezzo (31km), Cortona (49km), Perugia (82km), Assisi (93km), Firenze (105km) and Siena (107km). 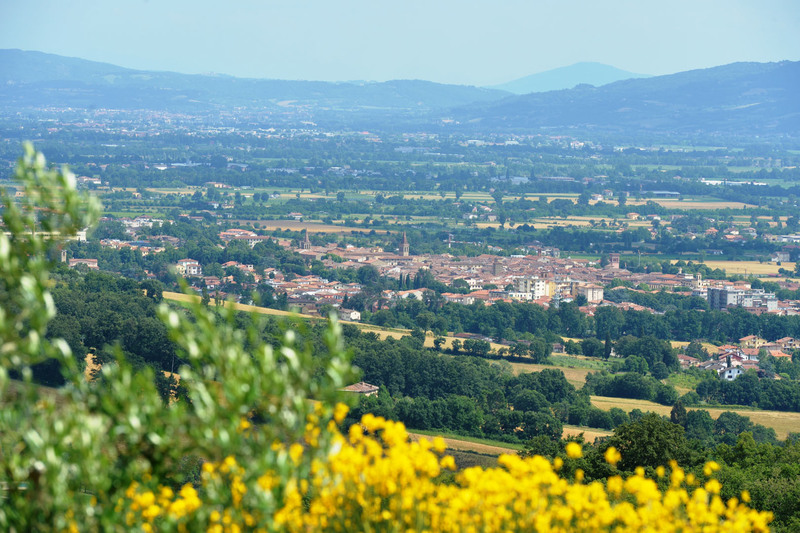 The E45 dual carriageway, which provides easy access to some of the most important historic and cultural towns in central Italy, is approx. 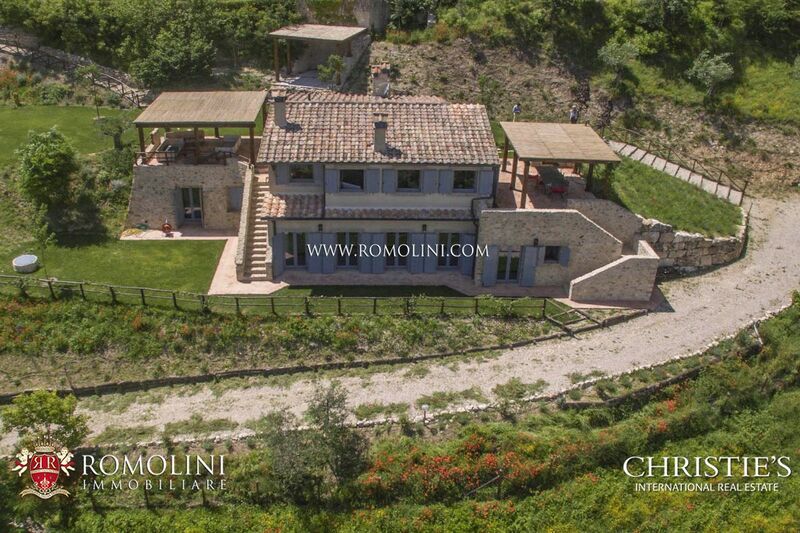 6 km away. 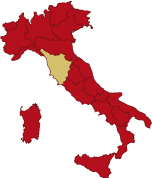 Perugia Sant’Egidio airport can be reached in only one hour’s drive, while the two international airports in Roma are less than three hours away. 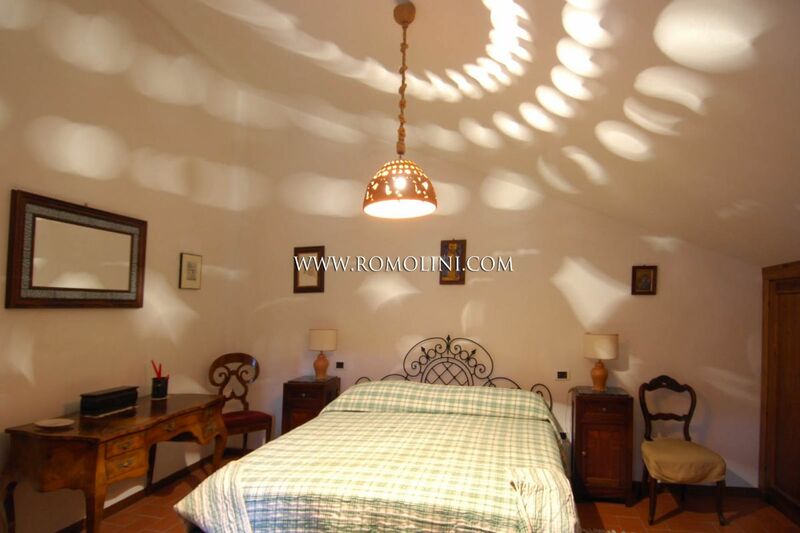 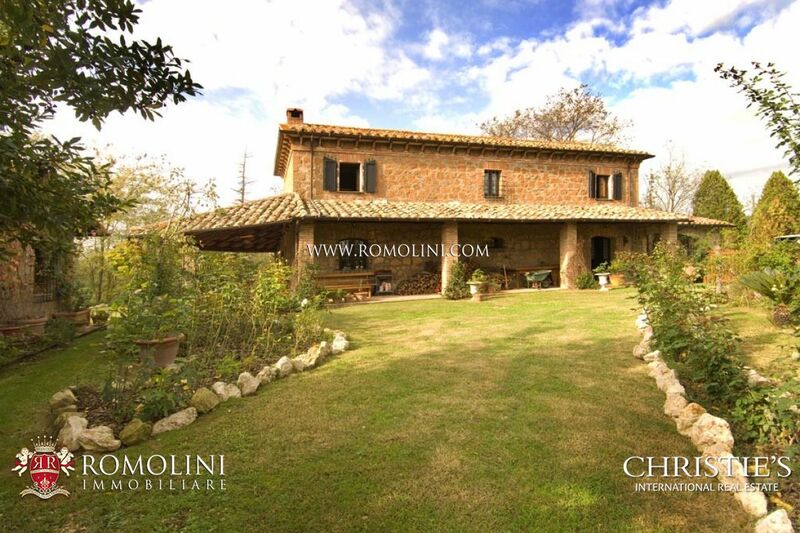 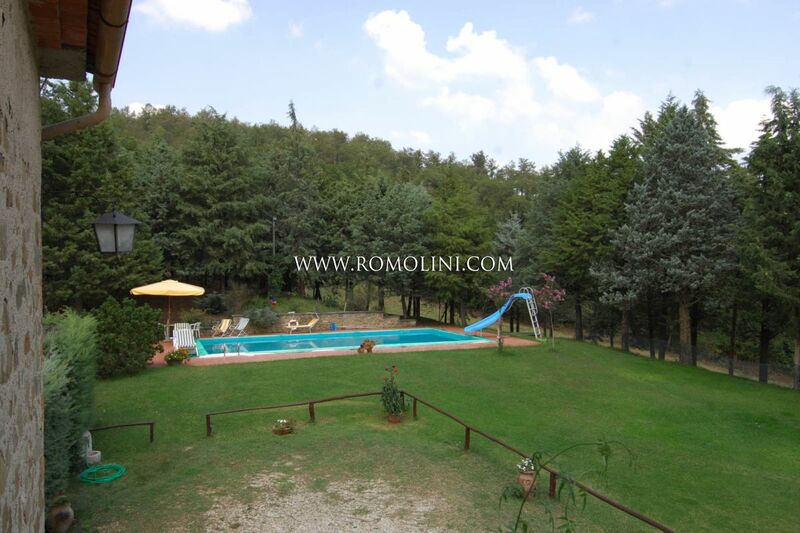 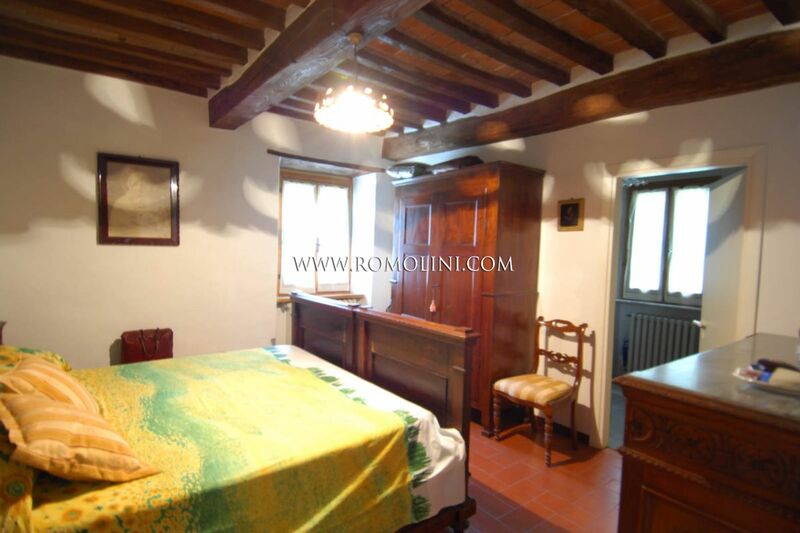 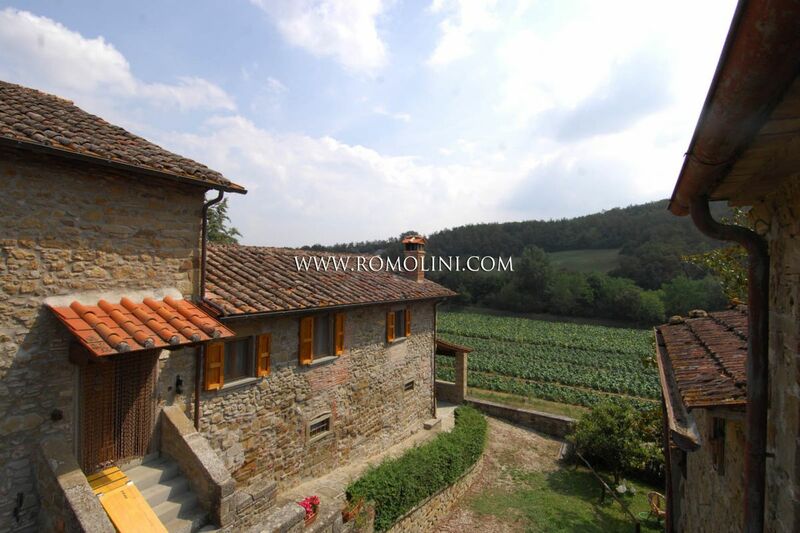 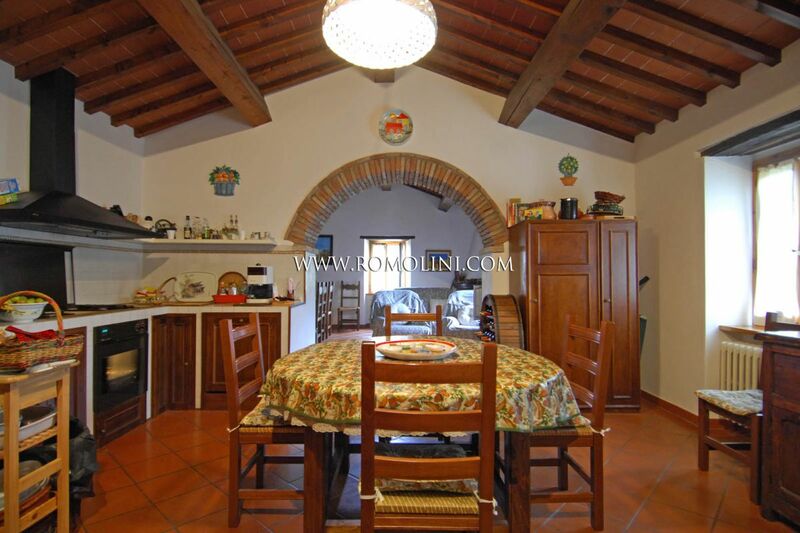 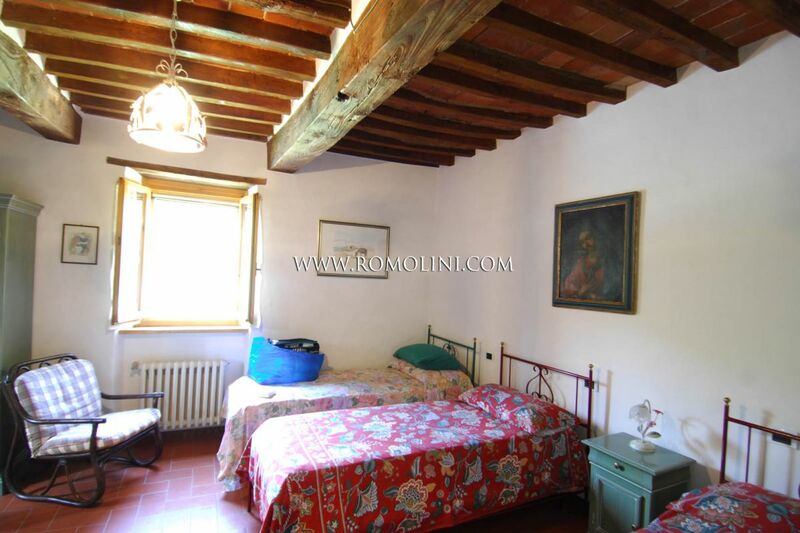 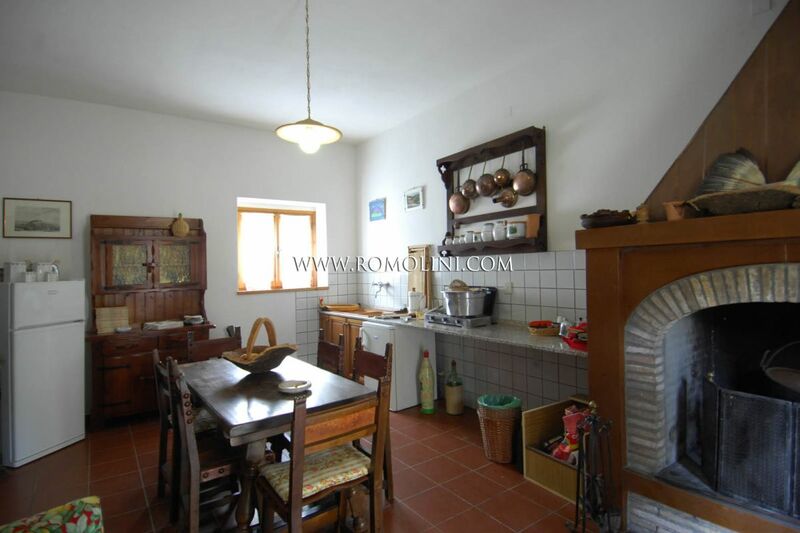 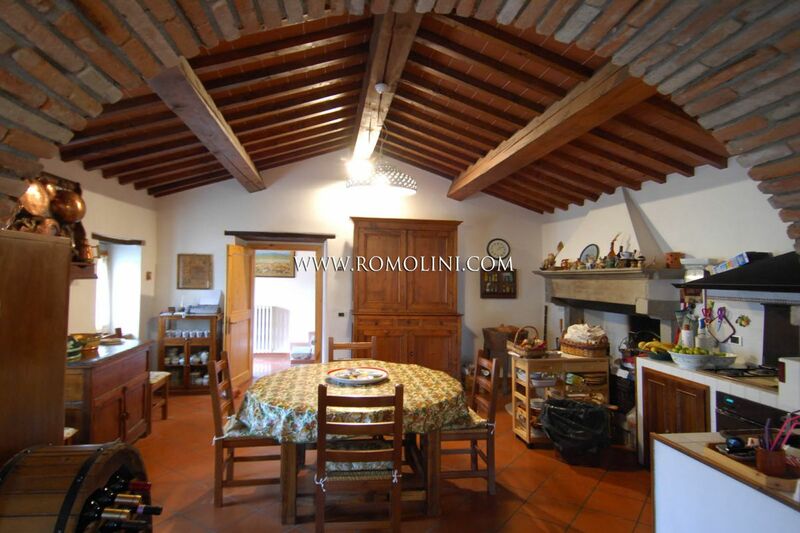 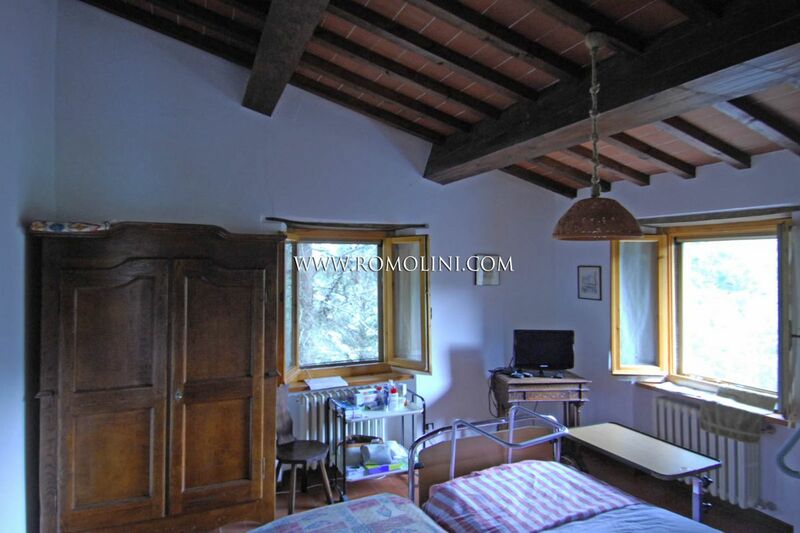 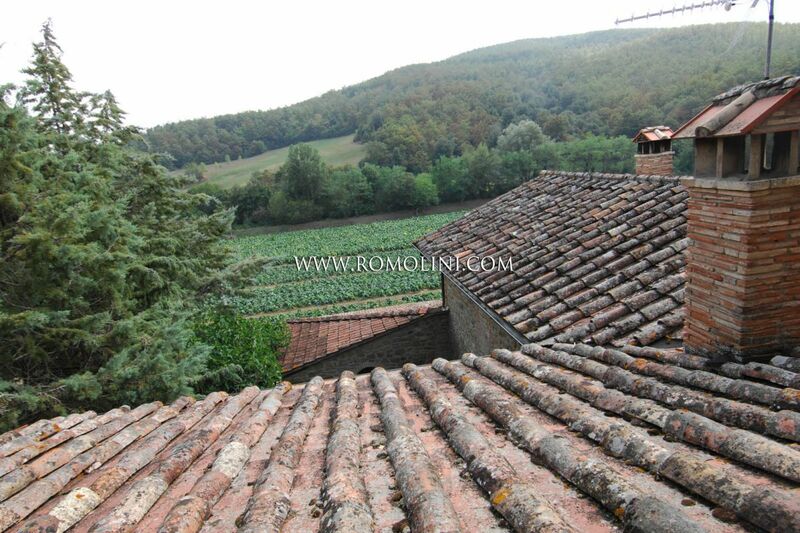 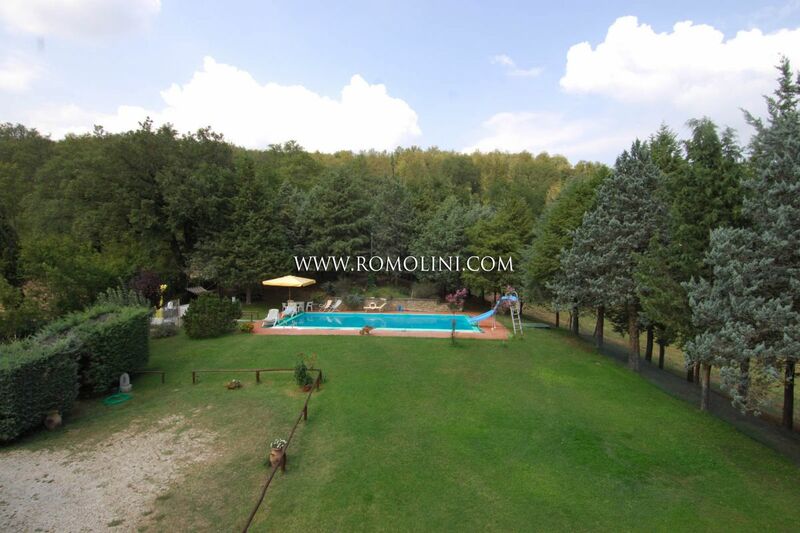 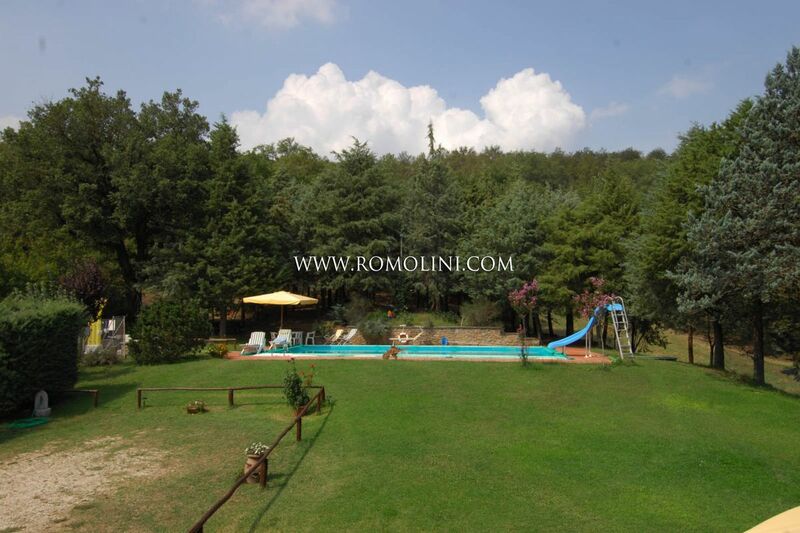 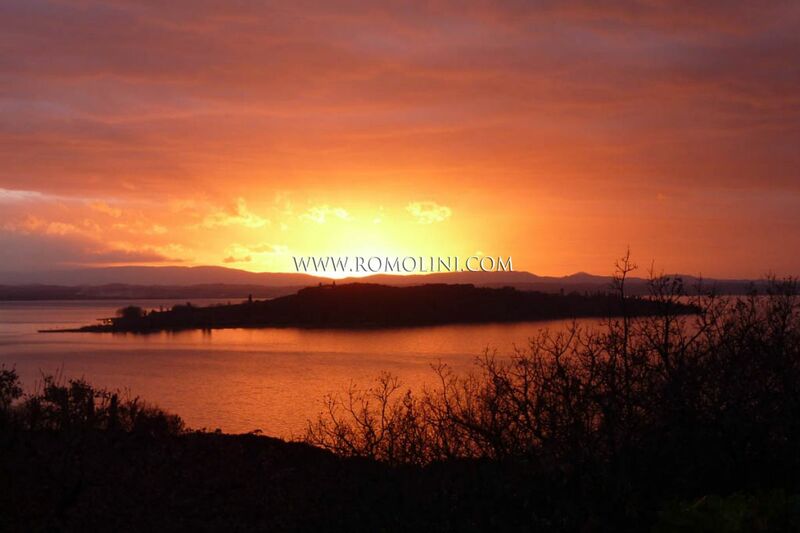 The property is made up of two farmhouses, for a total surface of 500 square metres. 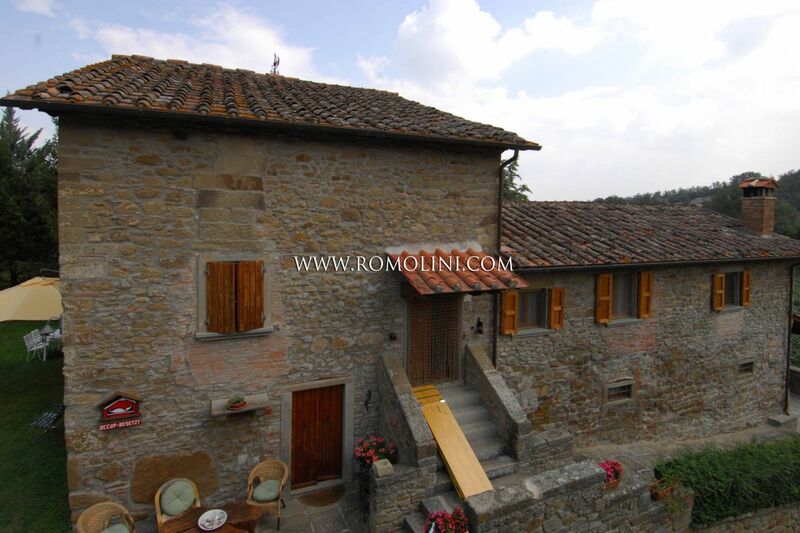 The 16th century farmhouse is laid on three levels, composed as follows. 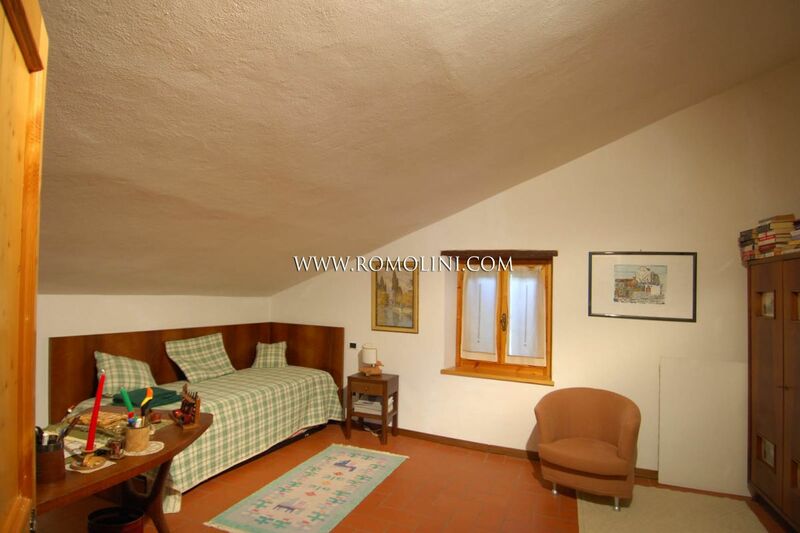 - Ground floor: entrance room, kitchen/dining room with fireplace, living room with fireplace, bedroom, bedroom with en suite bathroom, bedroom and adjacent bathroom. 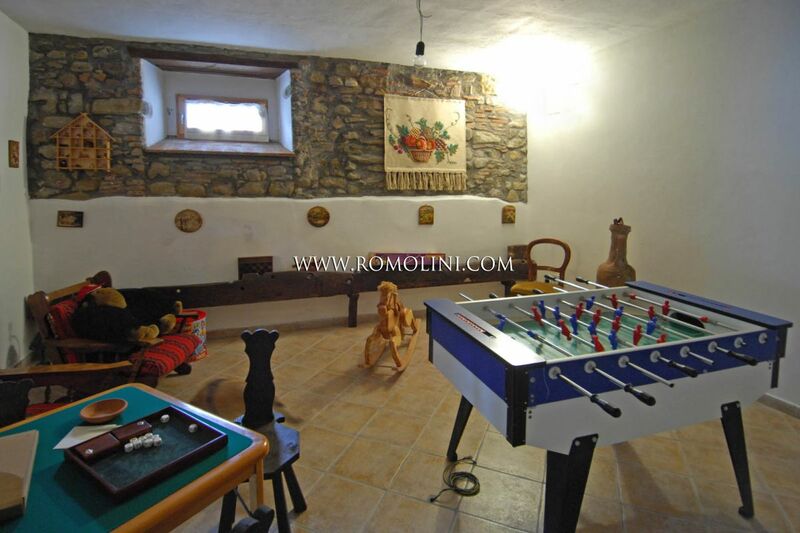 On the same level you will find a 38-sqm porch, the former barn — which was converted into a game room/hobby room — a former pigsty, where currently there is a sport room, bathroom and changing room. 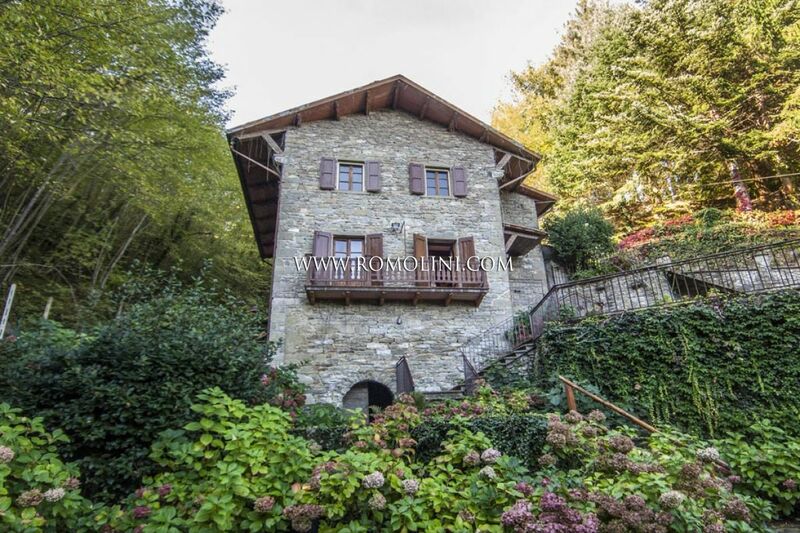 - A stone staircase leads to the first floor, where there are two bedrooms, a corridor and a bathroom with bath. 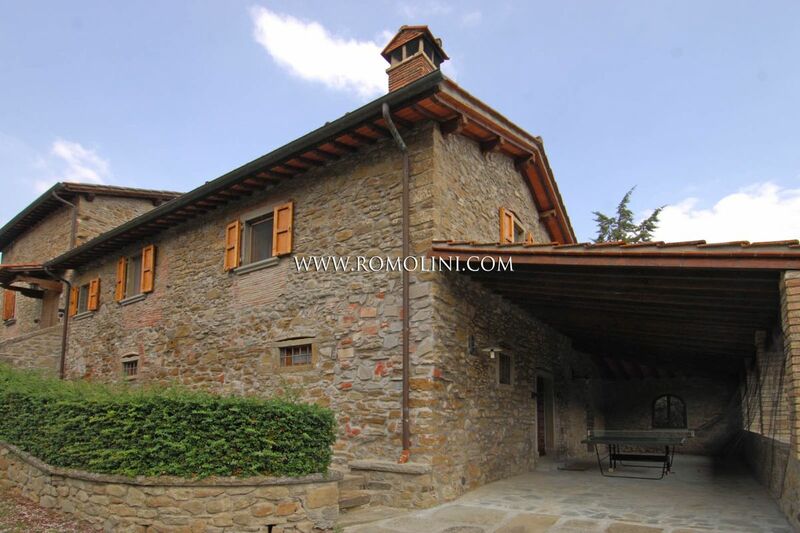 The farmhouse is completed by an outbuilding used as laundry room and storage room for various tools, a small room used as a dog kennel and a utility room/cellar. 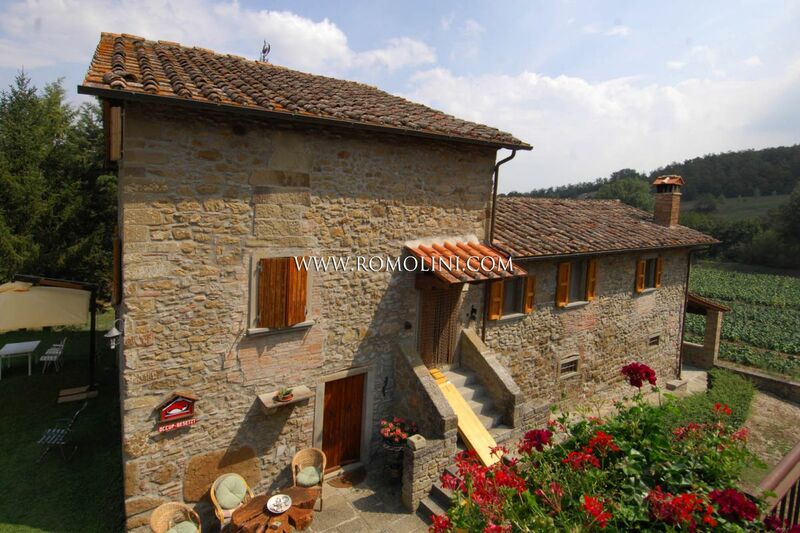 The 19th century farmhouse is laid out on two levels, composed as follows. 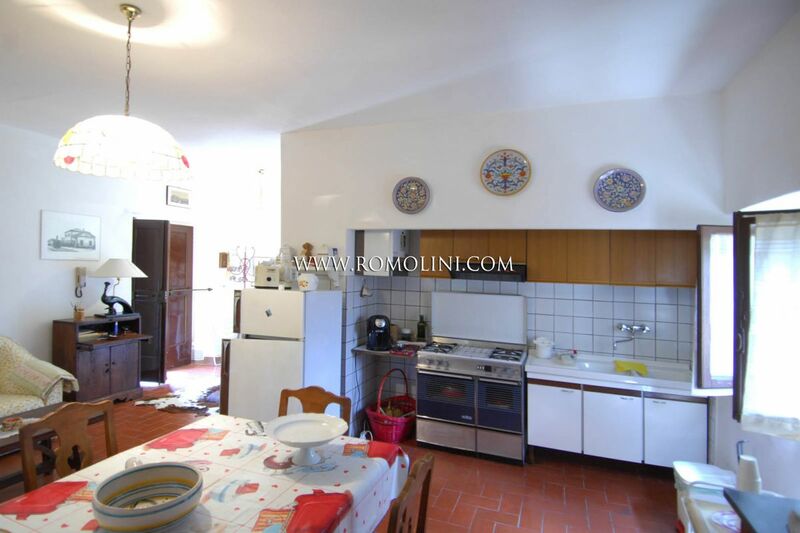 - Ground floor: living room with kitchenette, garage. 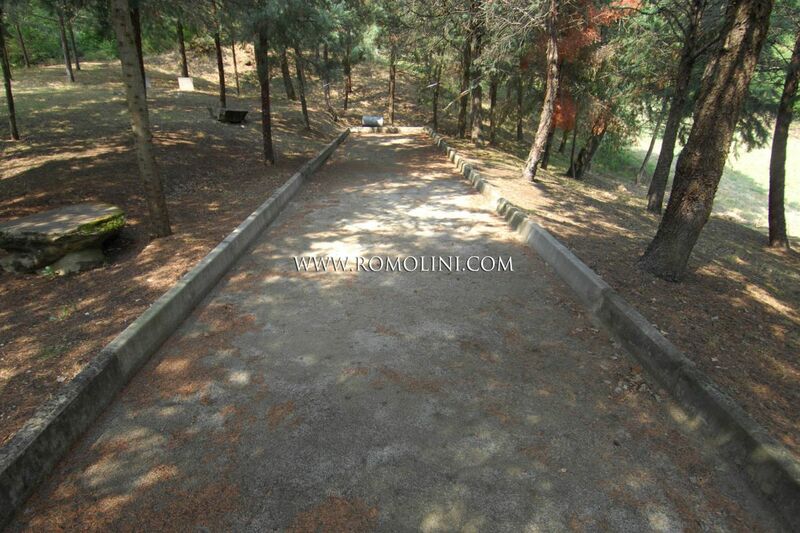 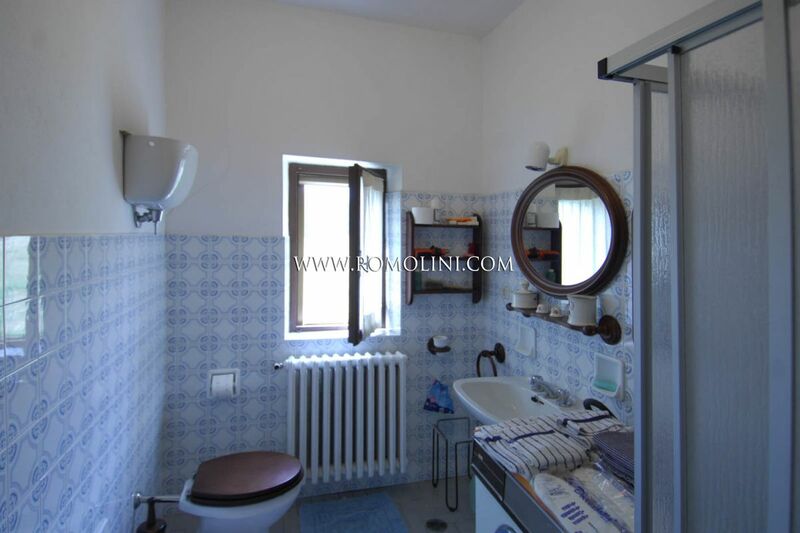 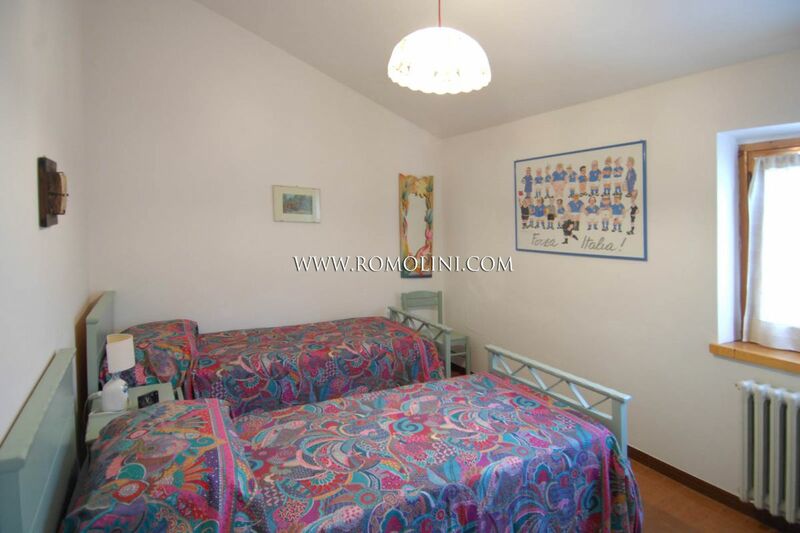 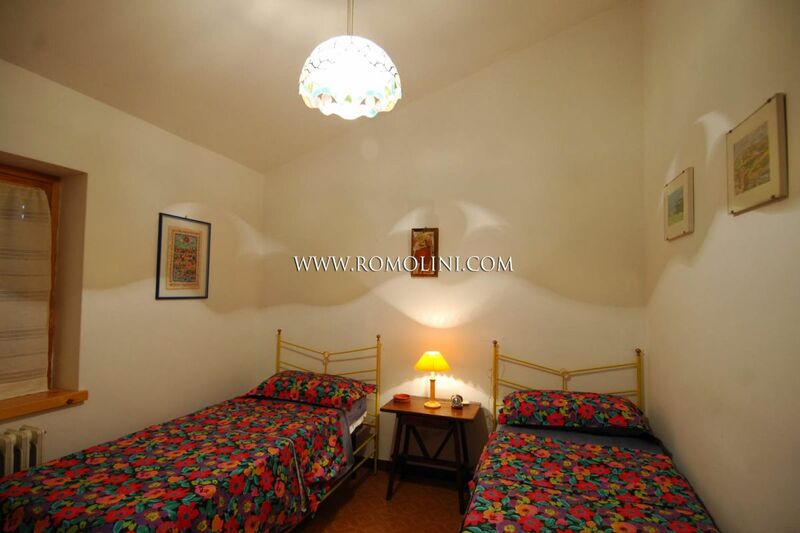 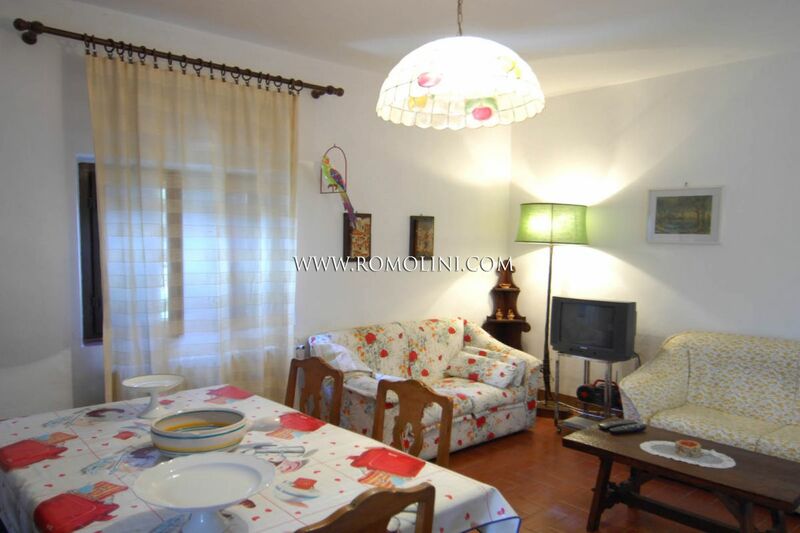 - First floor: small reception room with kitchenette, corridor, two bedrooms and bathroom. 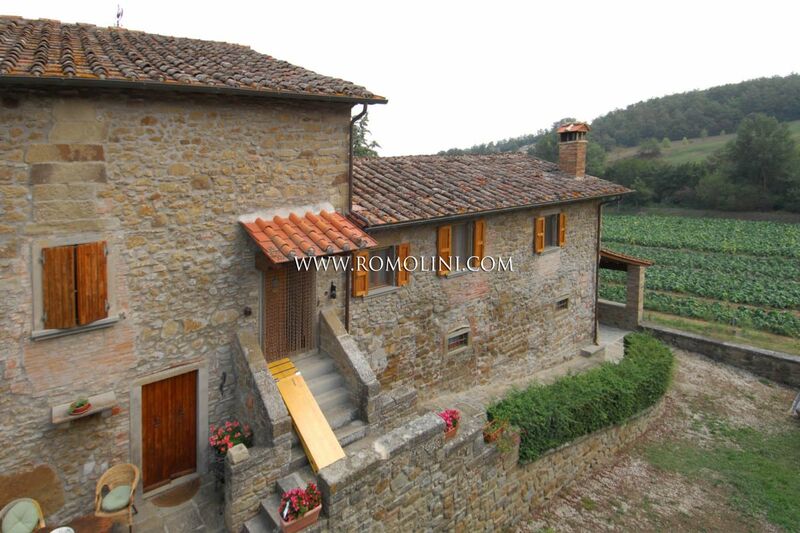 The farmhouses have been restored and are in excellent condition. 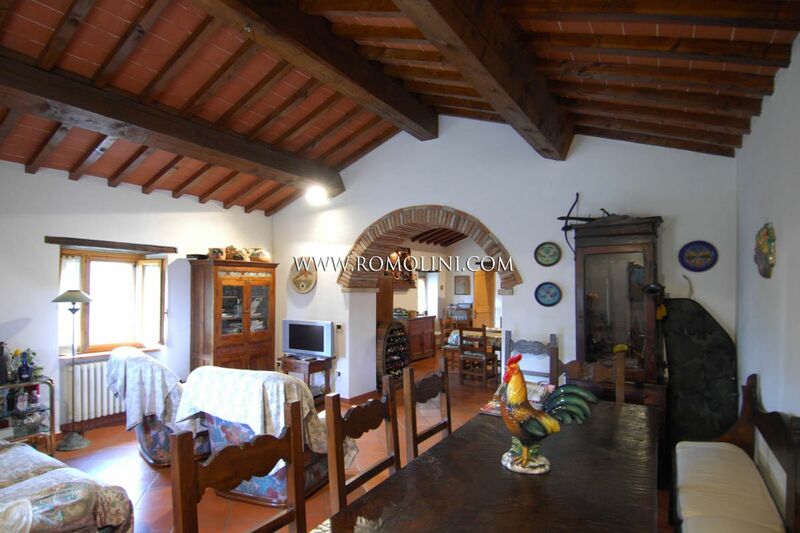 They features ceilings with wooden beams and terracotta tiles, stone farmhouses, brick arches, a stone staircase and a porch. 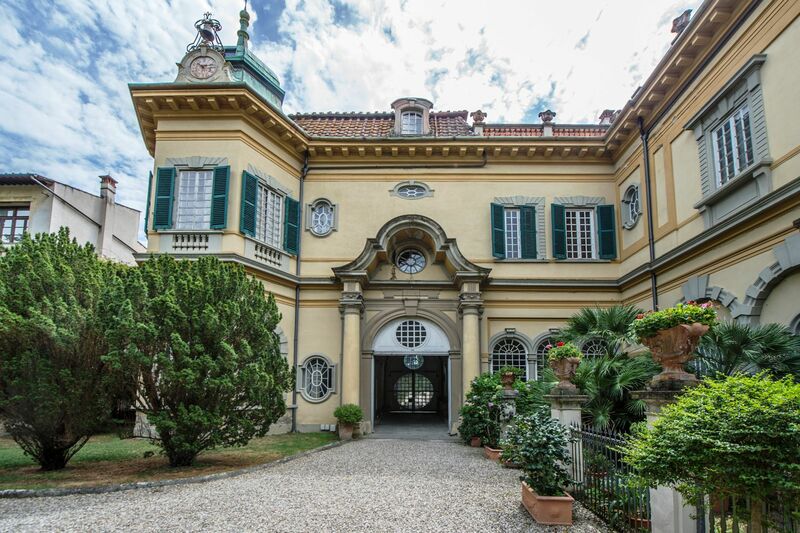 All the windows have fly screens. 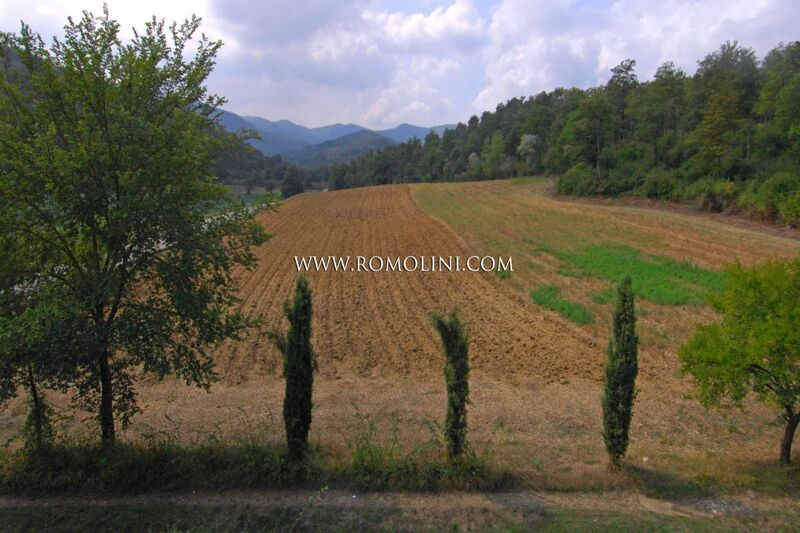 The two farmhouses are surrounded by 4 hectares of land, including an oak woodland, arable land and a pond. 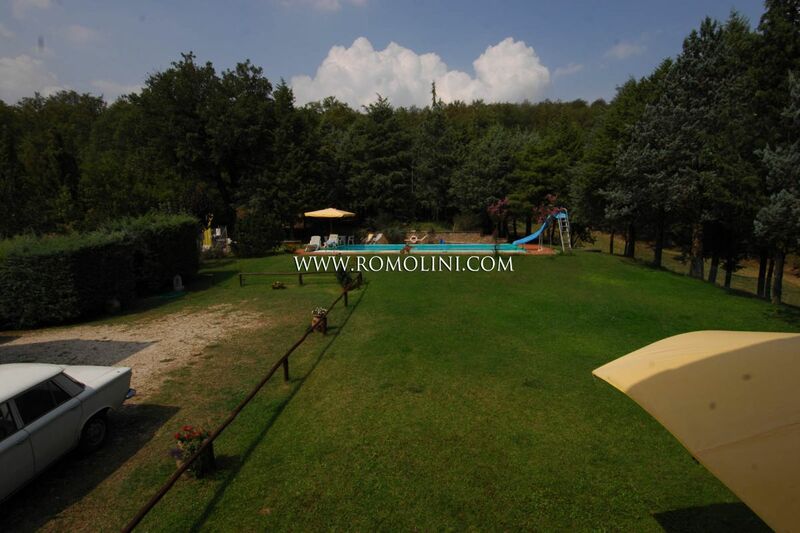 The fenced lawn is equipped with an automatic irrigation system. 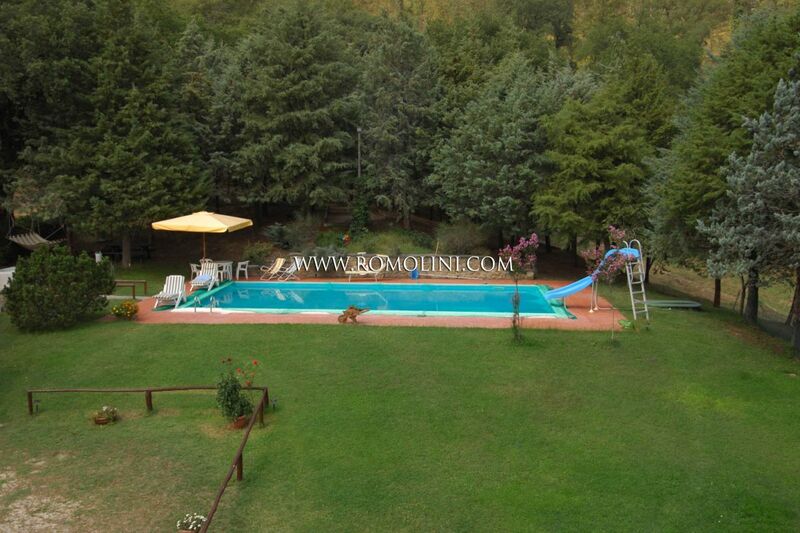 The wonderful pool 6 x 12 m is surrounded by a sunbathing area and has a pool slide. 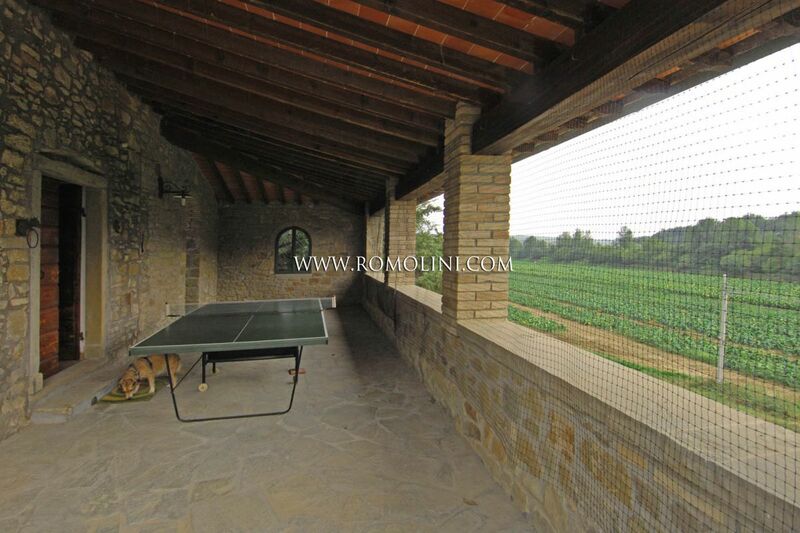 Furthermore, the property includes a bocce court with lighting and a 4-person hot tub. 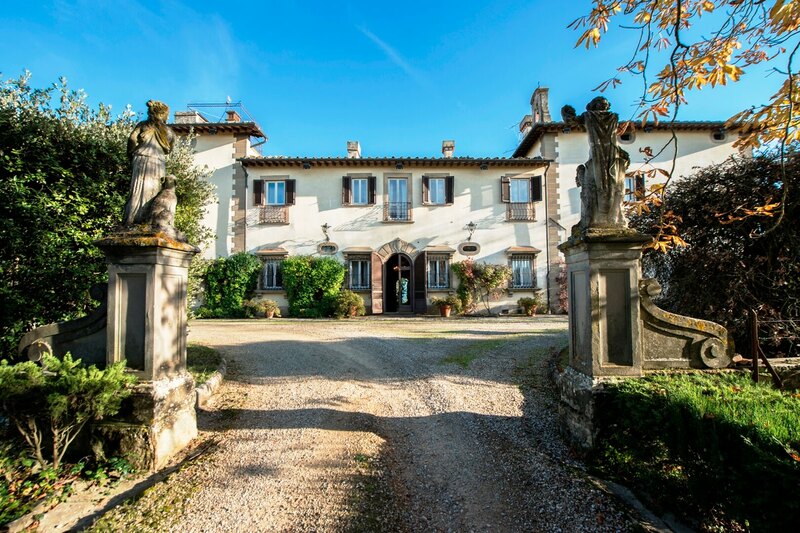 The property is the ideal solution for those who wish to live in a farmhouse in the countryside, but within easy reach of all amenities. 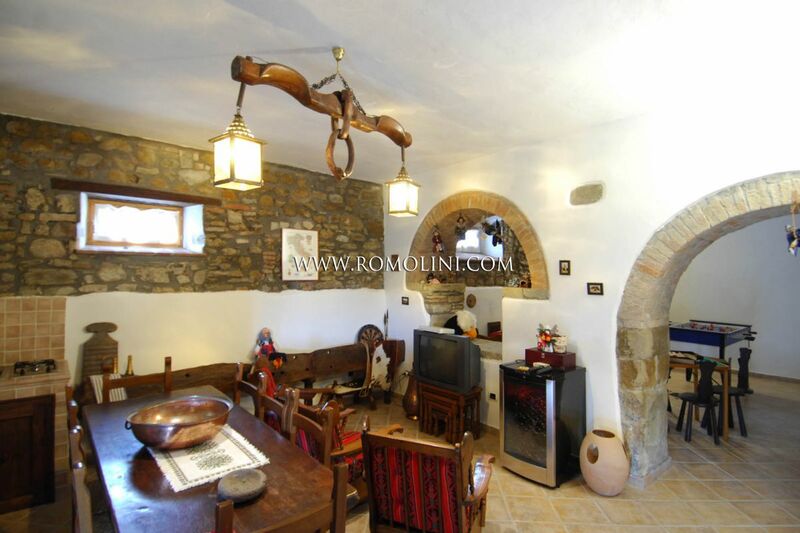 A farmhouse can be used as private home and the other one as tourist accommodation. 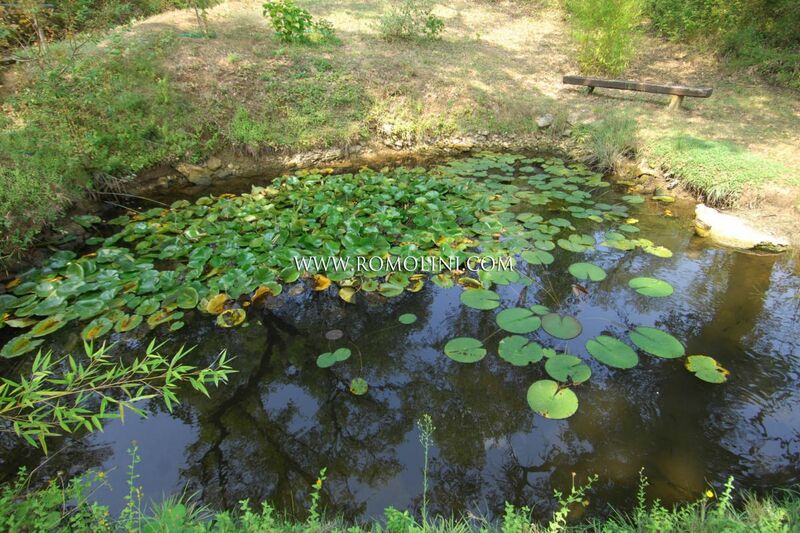 Moreover, there is the possibility of enlarging the two far.